You could spend a lifetime motorcycle touring in Spain and still not see everything the country has to offer. From bustling cities like Barcelona and Madrid to beautiful landscapes like the Serria Nevada and Spanish side of the Pyrenees mountains, you’ll never be short of something to see or do. Spain is a country full of culture, which can only be described as warm, vibrant, and inviting. 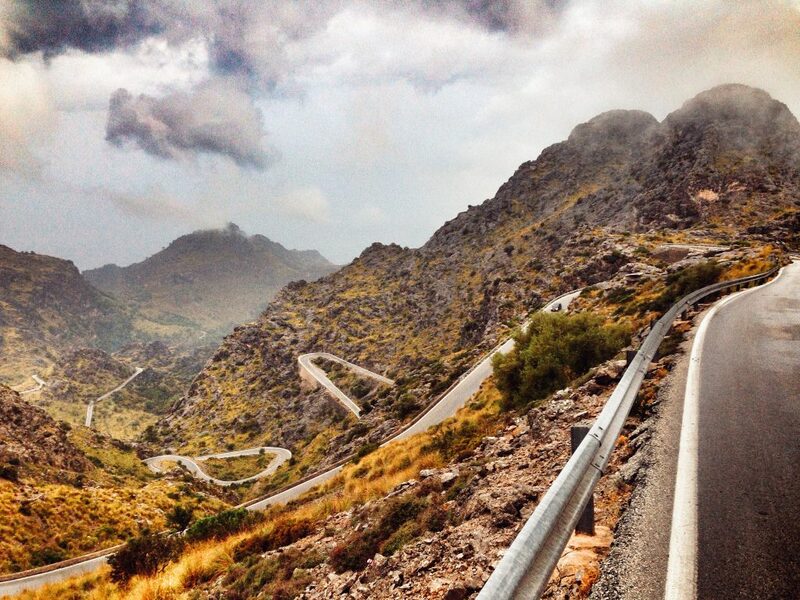 And, as you’ll see, Spain has some fantastic roads to get up to some two-wheeled mischief. 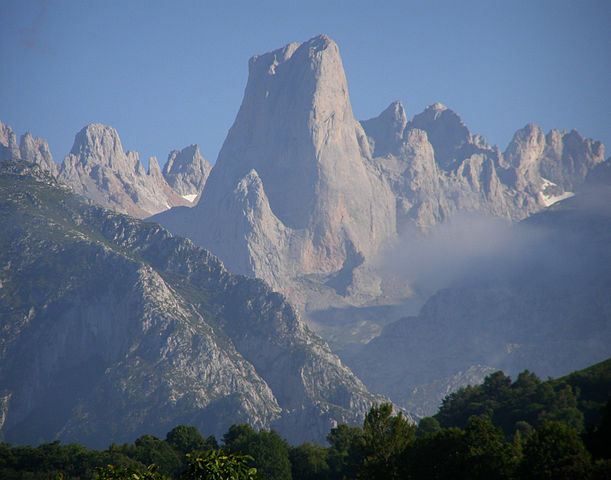 The Picos de Europa (Peaks of Europe) is a must for any motorcyclist, especially those visiting northern Spain. Between the gorges, rivers, and snowcapped mountains, you won’t be short of sights. It’s recommended you spend a few days in the area and make the most of the hiking trails on offer. The route between Las Arenas and Espinama is a gravel track and definitely worth riding if you’re sick of the blacktops. The N623 from Santander in Cantabria to Burgos in Castilla y León is a rider’s road through and through. The route gives a motorcyclist everything they want from fast sweepers and tight hairpins, to long straights. The road gets up to about 1,000 m above sea level and packs in plenty of nice views. This route is 183 km (113 mi) long, takes just over two hours complete and is definitely one to consider for anyone getting off the ferry in Santander. The N320 from Cuenca to Almodóvar del Pinar in Castilla La Mancha is another road for motorcyclists who like a brisk ride. The road’s surface is extremely smooth and there’s a good mix of turns through the hills and wide open straights. There are, apparently, some 160 km/h (100 mph) bends on the route. It’s definitely not a route you’d ride to find beauty so bear this in mind if you choose to ride the N320. The whole route is 47 km (29 mi) long and takes just under 40 minutes to complete. The N625, starting in Castilla y León and finishing in Cangas de Onis in Asturias, is the best of both worlds in terms of how much fun it is to ride and the views on offer, when motorcycle touring in Spain. The first section of the route is where most of the best sights are found, after this, it becomes more about the road than the surroundings. Ride this route with caution though, as there are some unexpected sharp turns, and bridges that come, seemingly, out of nowhere. This trip takes just over five hours to complete and can be split over two good days of riding. Visiting the Alpujarra region is, arguably, more about the destination than the pleasure of riding the road, although the road is fantastic. The Alpujarras are on the southern side of the Sierra Nevada, which has the highest mountain pass in Europe but, unfortunately, motorized vehicles can’t use it. If you choose to start in the Marquesado de Guadix and finish in Dúrcal, you’ll take in the very best of the natural beauty the Sierra Nevada National Park has to offer. The route is 170 km (105 mi) long and takes around 4 hours to complete. Although you can complete it in a day, we recommend you give this trip a few days, spending some time in the regions surrounding the Sierra Nevada. The Carretera de Sa Calobra, also known as the MA-2141, was built in 1932 and is home to one of the most famous turns in the world. The Nus de Sa Calobra is a 360-degree turn and the result of building a road nearly 90 years ago without the help of any machinery. The dead-end road finishes at a parking lot near the beach and is 13 km (8 mi) long. Although the route is relatively short, it takes around 25 minutes to complete as it has over 50 sharp turns. It goes without saying you should consider riding through the Pyrénées mountains if you you are motorcycle touring in Spain. There are plenty of passes to choose from but some of the best are the Somport, Bielsa, and El Formigal passes. The passes mentioned above are all fantastic routes and the one you choose will depend on what’s most convenient for you. All of the passes mentioned above lead to France so could be used to continue your trip there if you wish – check out our guide to motorcycle touring in France for more information. The N260 is a legendary biking road just east of Bilbao which windes all the way to the Pyrénées mountains. Once you reach La Seu d’Urgell, head north to Andorra, before coming back into Spain at Bourg-Madame. This trip is 627 km (389 mi) long and something which should be done over two to three days to get the most from it. It also requires a border crossing to France and back to Spain. Those travelling from Australia and the U.S. can stay in Spain, visa-free, for up to 90 days. As Spain is in the Schengen zone, citizens from other Schengen zone countries don’t need visas to visit Spain for trips of less than three months, if they plan to stay longer they will need a residence card. According to ATA Carnet, Spain is listed as a country which requires a carnet. Although the ATA Carnet website states, “If goods are properly imported into one EU carnet country and re-exported from a second EU carnet country, the Carnet holder is unlikely to encounter any claims fees.”. European plates or sticker showing your country of origin. So, make sure to have these on you at all times when touring in Spain. The minimum legal requirement to ride on Spanish roads is third party liability insurance. You can only get insurance for your motorcycle with a Spanish insurance company if your motorcycle is registered in Spain. So, if your motorcycle isn’t registered in Spain, contact your insurance company and inquire about your coverage abroad or contact the Spanish branch of your motor insurance company. Generally speaking, the roads in Spain are in very good condition, especially the motorways. You don’t need a vignette to travel through Spain as there are tolls on some motorways. The majority of the motorways which have tolls are the ones leading out of Madrid towards the Mediterranean coast. Often, you will see the letter ‘P’ on motorway signs which indicates they are toll roads. Spanish summers are pleasantly warm and quite dry, although the weather is generally warmer in the south. If you travel anytime between June to August the roads will be more congested as this is peak season for tourists. You could choose to go before or after the summer months when it is cooler and there are fewer tourists. The choice will depend on what you want to get from your trip. There are a few other things to be aware of when motorcycle touring in Spain. You must wear a motorcycle helmet when riding and your bike’s lights need to be on at all times. You must also carry a reflective vest for yourself and your passenger, and wear them should you ever need to stop on a hard shoulder.